Do you wish to achieve best result in Chemistry? Of course, every student wants to but often listed knowledge of just the syllabus is not enough to achieve the ATAR score that every student dream. The Chemistry syllabus includes redox reactions, calculations, experimental techniques, and more can confuse the students if the concept is not clear to them. In schools, the teacher is in a pressure to complete the syllabus. They really don’t have much time to focus on a particular child and their understanding of the concept. At Master Coaching Hurstville, we realize the same and our experienced and knowledgeable Chemistry tutors help every single child to excel in the subject. Master Coaching Hurstville is a team that strives hard to help your child come out of the regular stress of any subject and make it easier for your child to understand the syllabus. What does the subject Chemistry consist of? It is a study of materials in the nature that includes man-made as well as natural substances, their environmental importance, and structural changes. In order to understand, utilize, and manipulate the chemical systems, it is vital to develop the existing understanding of the Chemistry and its applications from the perspectives of technology, environment, and the society. We have the competence to teach chemistry as the head Chemistry tutor was the lecturer in chemistry at UTS and NSW University. In order to make the process of studying easy, we try to find several examples even out of the syllabus so that the students can grasp the topic instantly. The students who did very poorly in their previous examinations, performed amazingly with our guidance. Our experience of tutoring students to band 6 level chemistry, being our major subject in both HSC and university level, makes us the trustworthy Chemistry tutors for your children. Our complete endeavor remains to build the confidence of the child and prepare them thoroughly for the chemistry subject in a simple and engaging way. We also impart training to two other sets of students. Firstly, the students who are preparing for their HSC 11 in the upcoming year and secondly, the students who are advanced in their chemistry chapters and just wish to improve in their exam techniques. 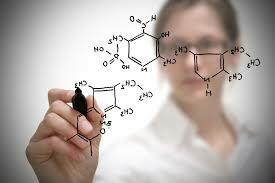 Each of our students is offered with exclusive customised programs by our experienced Chemistry tutors. The tailored program is designed to complement the curriculum or the syllabus of the student with the scope for addition or corrective work as per requirement. Master Coaching Hurstville’s Chemistry tutors work with classroom assignments and plan for upcoming tests so that students are well prepared for chemistry throughout the school year. Our techniques of teaching Chemistry is simple so that that the students can adapt to the subject and score high in their exams. 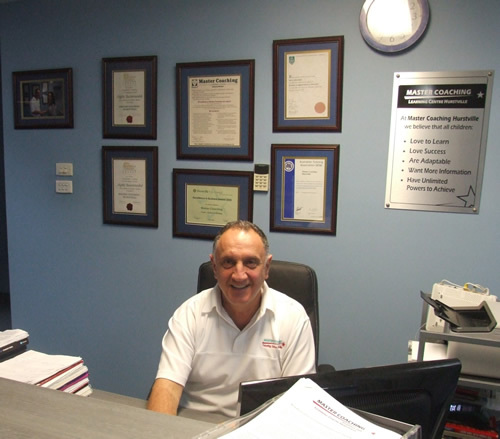 The Chemistry tutors in Master Coaching Hurstville do not hand hold, instead, they help the students to think analytically and scientifically. Apart from highlighting each of the modules very carefully. Our mode of teaching also includes weekly homework, several short tests, analyzing the test results, and further work on the problematic areas. Our Chemistry Coach is an ex-lecturer \ tutor at the University of New South Wales and the University of Technology Sydney. He has a strong background and interest in the following HSC Chemistry electives: “Industrial Chemistry”, “Shipwrecks, Corrosion and Conservation” and “Forencic Chemistry”. In our Year 11 Chemistry course our focus is on assisting students to understand the main concepts such as calculations, types of reactions, redox reactions and experimental techniques that relate to the syllabus. Each module is carefully explained and key points highlighted. All electives are thoroughly covered, including Forensic Chemistry, Industrial Chemistry and Shipwrecks. We also undertake several short exams to prepare for the Year 11 yearly exams. A strong foundation in Year 11 is important to Year 12 success. Weekly homework is given to reinforce the concepts learnt during the coaching sessions. Comprehensive homework feedback, including identification of areas that require further consolidation, is provided. In year 12, the main focus of Chemistry is to extend the concepts of the topics covered in Year 11. These include redox reactions, calculations, writing balanced equations and thinking analytically. Students need to develop these skills throughout Year 12, improving their knowledge and exam technique for the Trials and HSC chemistry exam. Each student is assessed frequently on each module to ensure they understand every concept and are progressing. Throughout the HSC year students gain an understanding of the work of the industrial chemist, and are able to determine what each HSC question is asking and how best knowledge of a number of concepts is applied. During each tutoring session the experienced coach will develop model answers for past HSC questions. This allows students to formulate such responses of their own. The electives are covered in depth and students are familiarized with each HSC dot point and given practice under exam conditions. Whether your child hates Chemistry or they are unable to understand the subject so, confused and disheartened, our Chemistry tutors ensure that your child is drawn towards Chemistry. They give an in-depth knowledge of the subject and nurture the interest of the students to help them in the process of learning Chemistry and face the examination with ease and confidence. If your child wishes to achieve outstanding results, call us now.